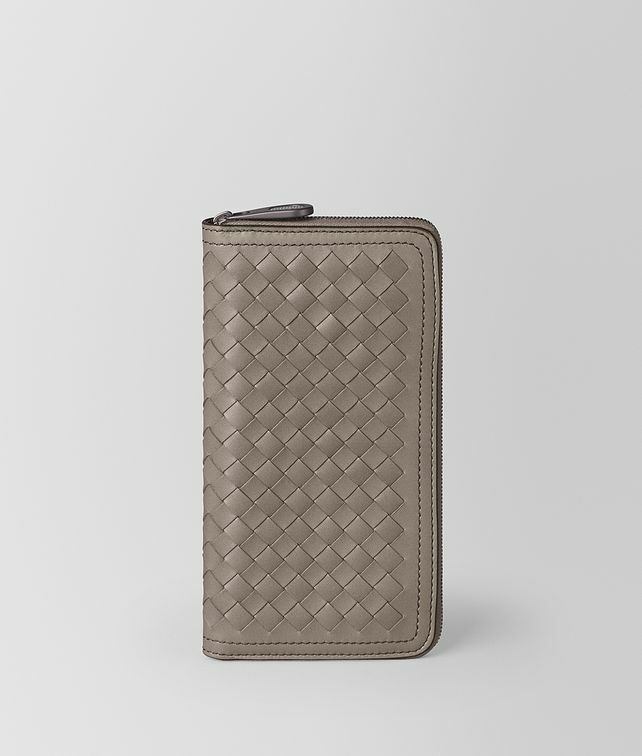 This zip-around wallet is crafted from sturdy VN leather in a new construction that gives our iconic intrecciato weave a framed effect. The design is detailed with double seams, hand-painted edges and a leather interior, all in a contrast hue. The interior is fitted with eight card slots, two note compartments, two additional slots and a coin purse. Finished with an intrecciato-engraved zipper pull. Hardware: Antique silver, Brunito finish Height: 10 cm |3.9"
Width: 19 cm | 7.4"
Depth: 2 cm | 0.8"